One of the biggest titles of this year, MORPG “Maple Stoty2” starts to prepare last stage of service, in ahead of official service. Maple Story 2 currently has just finished character creation event, and it is now remains to be success in a online game market as expected. 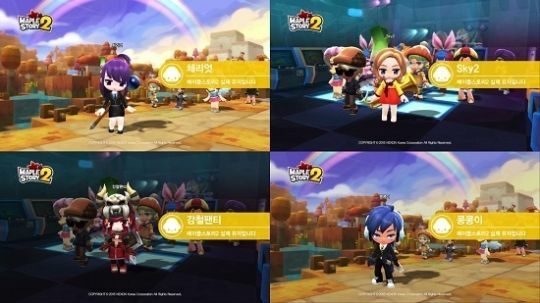 According to the company, Nexon, the nation’s top online company (CEO, Ji Won Park) holds a character creation event and deliver news on the website before unveiling Maple Story2. Though Maple Story 2 was got a positive feedback from participants during last CBT, Nexon try to enhance completeness to match user’s expectation with additional work such as contents improvement. Contents update news is uploaded on the official website. Main update is modifying experience point distribution of boss raid, changing boss pattern, strengthening manipulation convenience of thief, fixing bug of wizard teleport. Additionally, reorganization of job balance is currently updating and job balance is expected to carefully performed based on the user's play data during the test. Separate event for user is also prepared, on the 27th June. It was supposed to hold on offline, but eventually changed to hold on online. As the event is expected to offer open service version of Maple Story 2, many users are interested in the event. Another attention is ad film in which the user’s character was appeared on the film screen. Nexon produced total 160 version of ad film from selected 240 users and started advertisement on TV and bus. 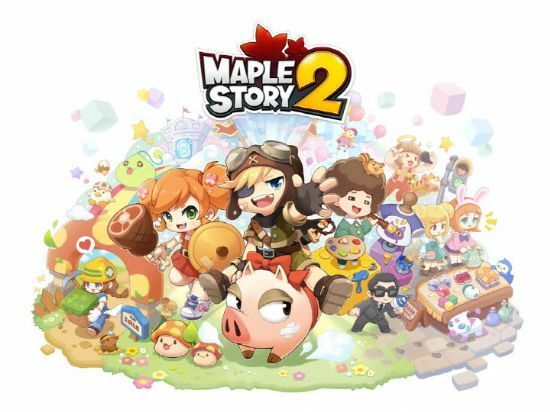 Will Maple Story 2 success as expected? Many experts say "considering powerful IP influence of Maple Story and positive test response, the possibility of success is likely to be high". Maple Story 2 is the sequel to “Maple Story,” one of Nexon’s most successful games. “Maple Story” attracted more than 630,000 person of max connections number during 2011. Maple Story 2 features 3D block map of quarter view, strengthening personality of each job, and largely focused on item designed by its own users. This customization is main difference from its predecessor. During CBT and final test, tens of thousands of users connected to this game and it was successfully completed. Maple Story 2 is proved its popularity as the closing time was delayed due to excessive connection during the final test. One expert revealed that "Maple Story 2 is one of the hottest games in this year. It is expected that the attention of market will be more increased as Nexon already began engagement ads and prepares online event accordingly."